There have been talks of director’s for a lot of Marvel Studio’s upcoming films. Thor: Ragnarok might have found a director in Taika Waititi and Black Panther is still on the prowl for one, while Captain Marvel is also looking. But it’s the newest film in Phase Three that might have one locked up soon. The Hollywood Reporter broke the news that Peyton Reed is currently in talks with the studio to helm Ant-Man and The Wasp, the big sequel set to star Marvel’s smallest (size-wise) heroes. With Ant-Man doing decent money state-side and even better overseas, it’s a no-brainer that Marvel Studios would want to bring back Reed. 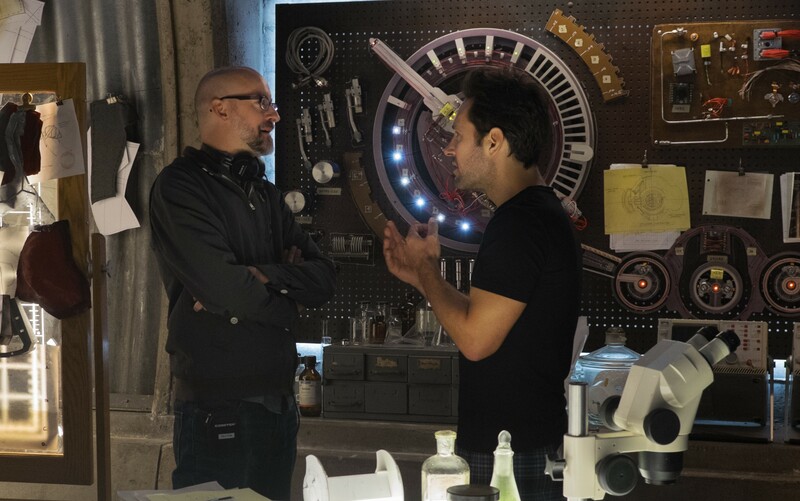 And while I’m still of the camp that would have loved to see what Edgar Wright had in store I can’t deny that Peyton Reed did an exceptional job. Paul Rudd and Evangeline Lilly will return to reprise their roles of Scott Lang / Ant-Man and Hope Van Dyne / The Wasp, respectively. No writers have been talked about yet. The first script was a hodgepodge of Edgar Wright, Scott Cornish, Adam McKay and Paul Rudd. It’s a safe bet that Wright and Cornish won’t be back for the sequel. The film is a late addition to what was already considered a locked slate for Phase Three. But with the success of the first film ($455M worldwide so far) the studio just couldn’t wait until Phase Four to roll out another go-round. Marvel Studios moved Black Panther and Captain Marvel around to give the next Ant-Man film some breathing room. Ant-Man and The Wasp is scheduled for a July 6, 2018 release. This entry was posted in Breaking News, Film, Marvel and tagged ant-man, Ant-Man and the Wasp, Peyton Reed. Bookmark the permalink. ‘Kingsman 2’ Set for Summer 2017! Michael J. Fox Shows off the Self-Lacing Nike Mags and More on Jimmy Kimmel Live!